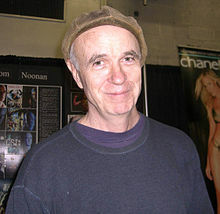 تام نونان (اینگیلیسجه: Tom Noonan) آمریکالی اوْیونچو. 1980–گۆنوموز ایللر آراسیندا سینما ساحه‌سینده چالیشیب. 1989 Mystery Train Man in Arcade Diner Segment: "A Ghost"
1984 Tales from the Darkside Bill Lacey Episode: "The Odds"
1989 The Equalizer Brandon Thorton Episode: "Making of a Martyr"
1991 Monsters Howard Mitla Episode: "The Moving Finger"
1996 Early Edition Frank Price Episode: "Pilot"
1996 The X-Files John Lee Roche Episode: "Paper Hearts"
2002 CSI: Crime Scene Investigation Zephyr Episode: "Abra Cadaver"
2003 Law & Order: Criminal Intent Malcolm Bryce Episode: "Graansha"
2004 The Jury Marty McMahon Episode: "The Honeymoon Suite"
2005 Jonny Zero Chucky Episode: "No Good Deed"
2007 Kidnapped Gibson Episode: "Do Unto Others"
2008 Law & Order: Special Victims Unit Jake Berlin Episode: "Confession"
2010 Louie Dr. Haveford Episode: "God"
2011 Bar Karma Caleb Episode: "Man Walks Out of a Bar"
2014 The Leftovers Casper Episode: "Guest"
اینگیلیسجه ویکی‌پدیاسی‌نین ایشلدنلری طرفیندن یارانمیش«Tom Noonan»، مقاله‌سیندن گؤتورولوبدور. ( ۲۲ ژانویه ۲۰۱۸ تاریخینده یوْخلانیلیبدیر). قارداش پروژه‌لرده تام نونان گؤره داها آرتیق بیلگی‌لر تاپابیلرسینیز.